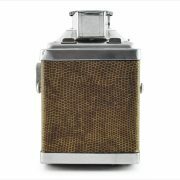 Manufacturer: R. F. Hunter, Ltd. 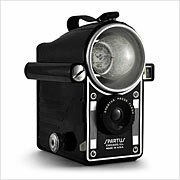 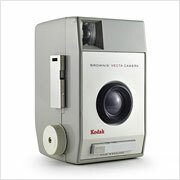 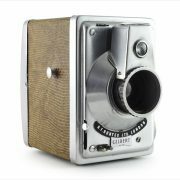 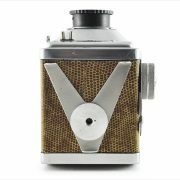 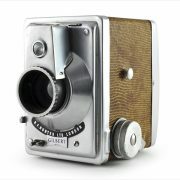 The Hunter Gilbert is an unusual British-made box camera introduced in 1953 by R. F. Hunter, Ltd., a London distribution company that sold cameras under its own brand as well as those of other companies. 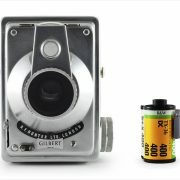 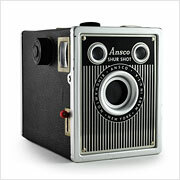 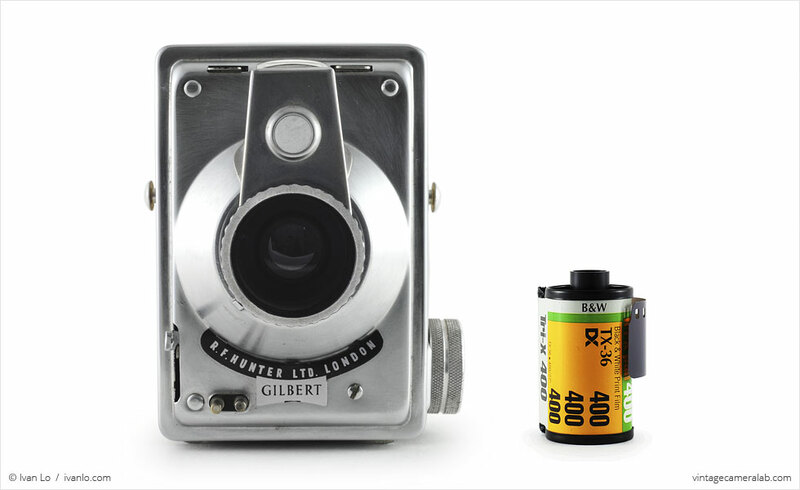 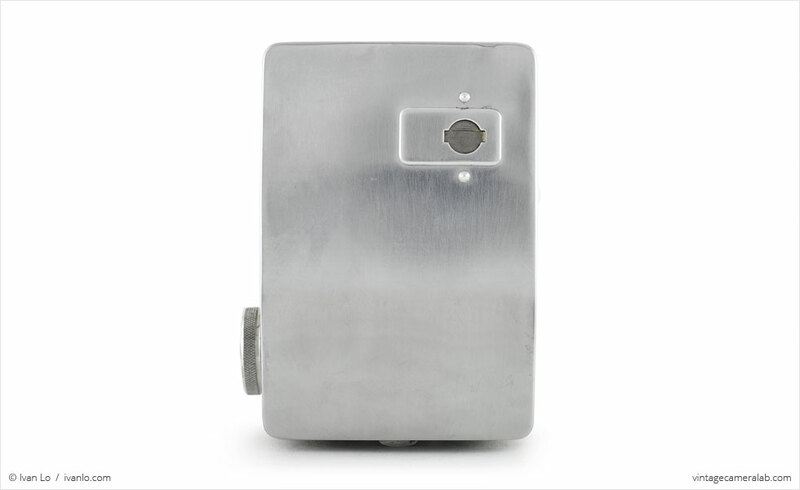 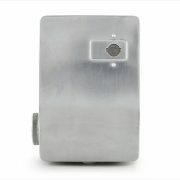 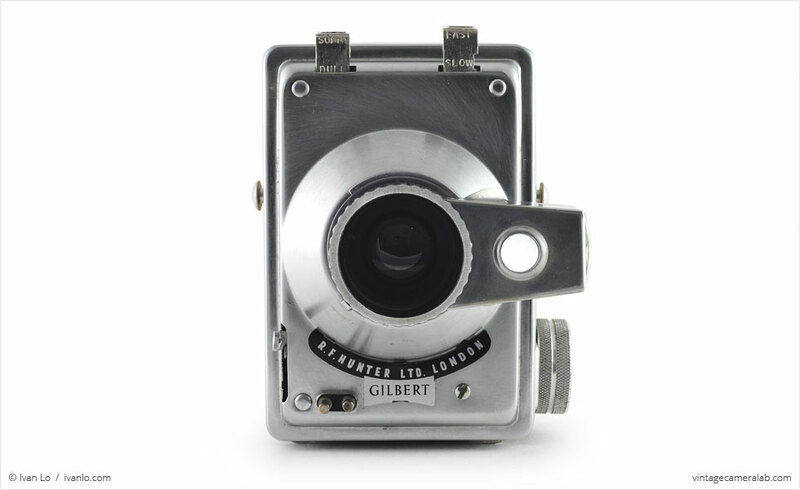 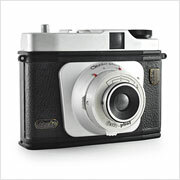 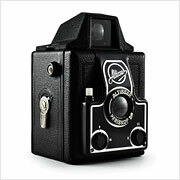 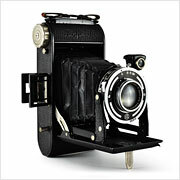 Perhaps the biggest difference between the Gilbert and other box cameras is its appearance. 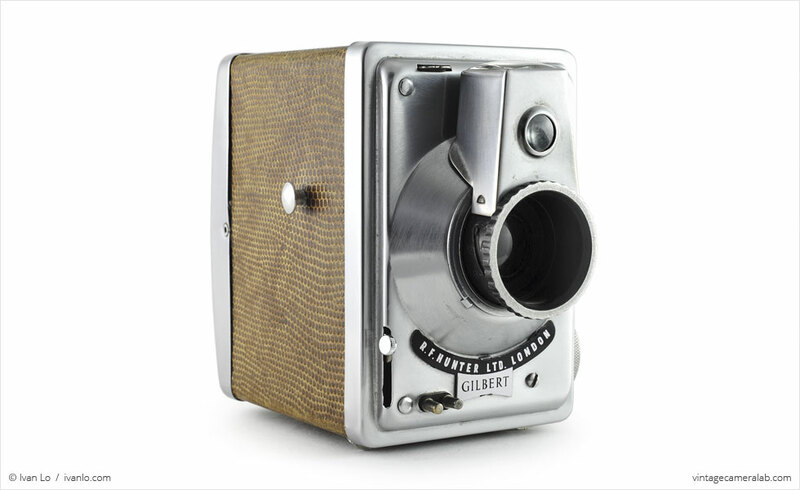 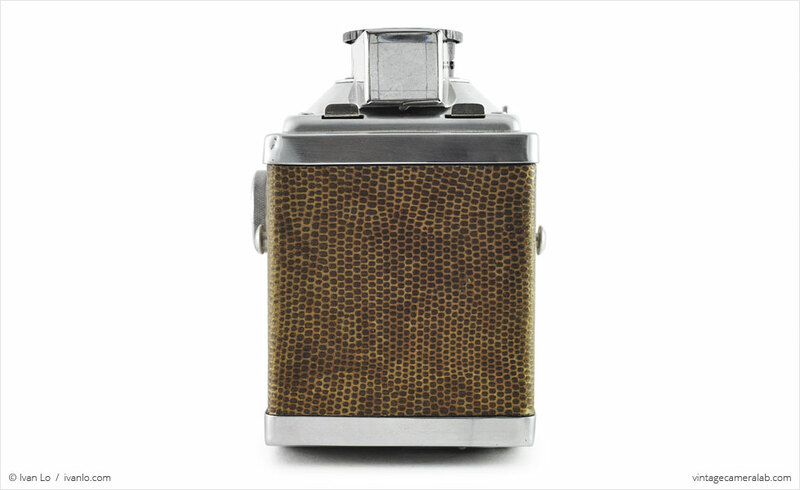 The Gilbert is made of stainless steel wrapped in lizard skin, a curious choice that seems to fall neatly into the category of English eccentricity. 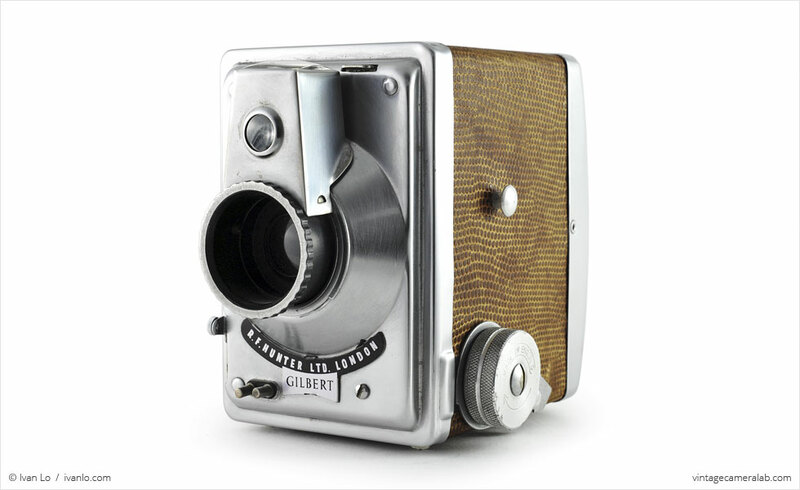 Dominating the front of the camera is a 105mm f/11 lens with a large rotating viewfinder for transitioning between portrait and landscape orientation. 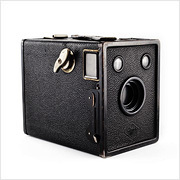 There are two metal tabs located above the lens; when looking into the lens, the left side tab controls the aperture with two settings: “sunny” (f/11) and “dull” (f/5.6) while the tab on the right switches between the two shutter speed options: “fast” (1/50) and “slow” (1/30). 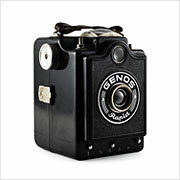 The shutter button can be found at eight o’clock from the lens barrel and a pair of flash sync posts can be found at seven. 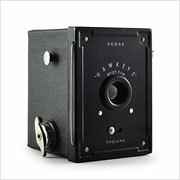 The film advance knob is found on the user’s left hand side of the camera with the latch that holds the camera together underneath it. 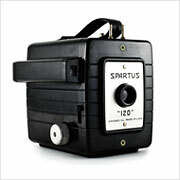 A red window can be found on the back of the camera while a tripod socket is located on the bottom. 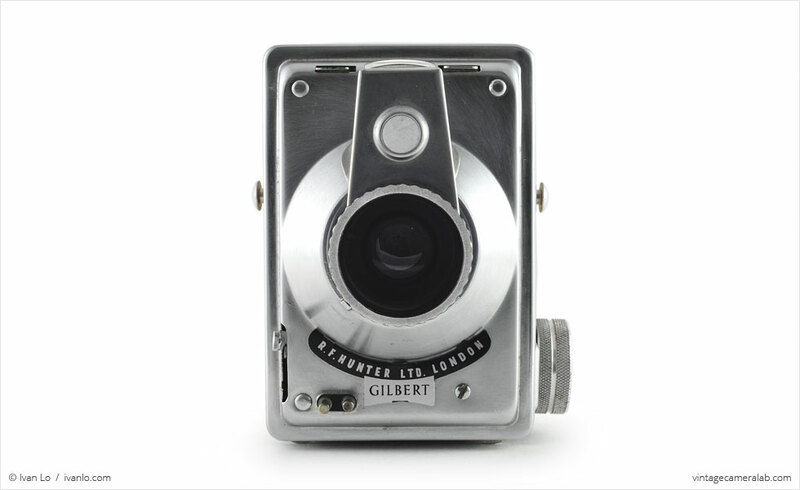 The Gilbert is one of the few cameras that I lusted after immediately upon discovering its existence. 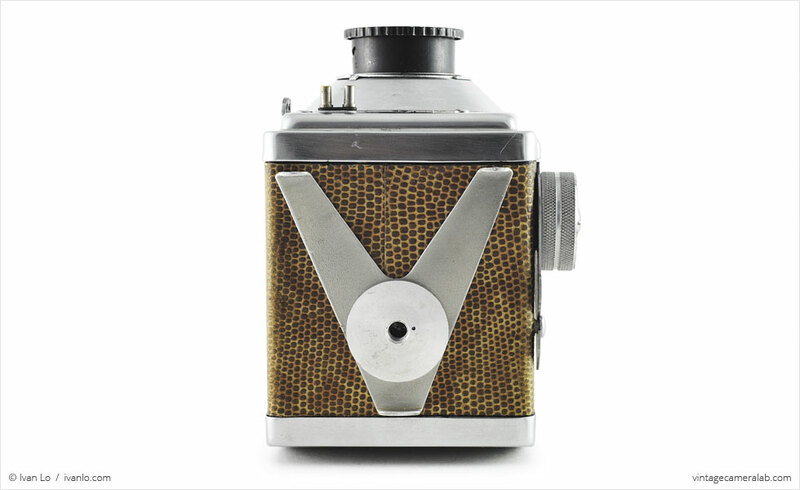 I love how quirky this camera is; I love the way the the rangefinder rotates around the lens and I love its stainless steel and lizard skin finish which places its styling somewhere between industrial machinery and the world of high fashion. 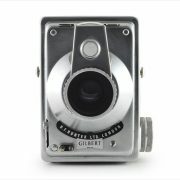 After nearly two years of watching eBay auctions, I finally bought one and now my collection is just that much closer to being complete. 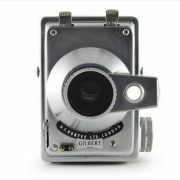 Find your very own Hunter Gilbert on eBay.